Hagio Moto is one of the recipients of the Asahi Prize (Asahishō) for the year 2016. Since its establishment in 1929, the Asahi Shimbun Company and the Asahi Shimbun Foundation have been awarding the prize to individuals and groups for outstanding achievements in fields such as the humanities and natural sciences and for extraordinary contributions to cultural and social progress in Japan. Hagio Moto is only the third manga artist honored for her achievements after Tezuka Osamu in 1987 and Mizuki Shigeru in 2008. She has most recently been awarded the prize of the Japan Cartoonists Association and the Minister of Education, Culture, Sports, Science and Technology in 2011, the Medal with Purple Ribbon by the Emperor of Japan in 2012 and the Sense of Gender Prize in 2013. The artist, born in 1949 and referred to by many as the ‘mother of shōjo manga’, was honored for revolutionizing shōjo manga in the 1970s, when she brought a high degree of literariness to shōjo manga with works such as Poe no ichizoku (“The Poe Family”) and Thomas no shinzō (The Heart of Thomas) by combining poetic language and elegantly flowing images to represent love torn apart over the course of time, and the pain and conflicts of adolescent boys, the jury said in their statement. They also honored Hagio’s long dedication to the Poe series which originally ran from 1972 to 1976 but which she started to continue to work on in 2016. 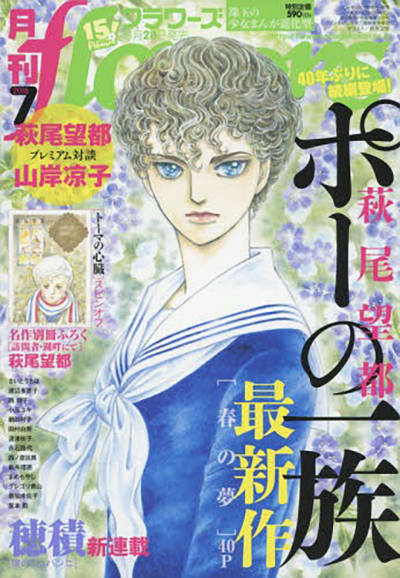 Last summer, the July issue of Shogakukan’s flowers magazine sold out in record time and had to be reprinted due to popular demand when it featured the beginning of a new story arc of Poe no ichizoku called “Haru no yume” (“A Spring’s Dream”). It was definitely one of the biggest events for shôjo manga fans of the past year and I felt super lucky to manage to get a copy of the first run of the magazine. 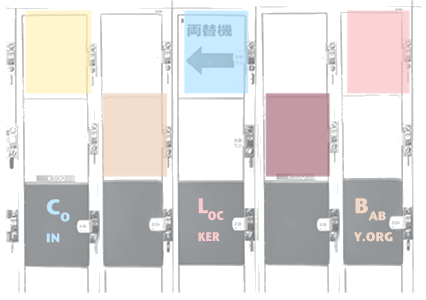 The second chapter of the new arc can now be found in the current (3/March 2017) issue of flowers (it also comes with a Poe ticket holder as furoku!) and the series is going to be continued in regular installments from now on. 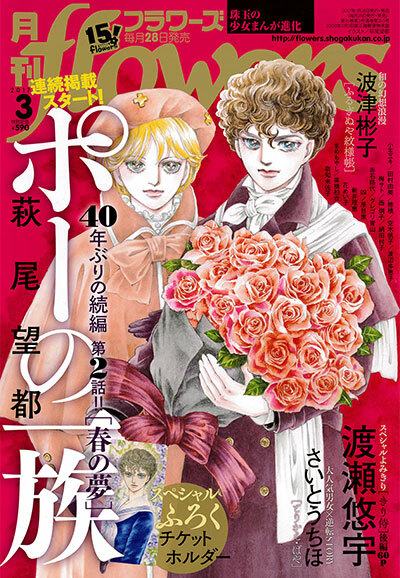 Good news for fans of the Poe series, bad news for fans of Hagio Moto’s second ongoing series, Ōhi Marugo – La Reine Margot which is published in Shueisha’s YOU magazine but is currently on hiatus in favour of the continuation of the former series. Tags: decade: 1970s, decade: 2010s, keyword: shoujo manga canon, keyword: vampires, magazine: flowers, magazine: you, manga awards, manga news, mangaka: hagio moto, publisher: shogakukan, publisher: shueisha, title: ouhi margot - la reine margot, title: poe no ichizoku, type: shoujo manga. Posted on Feb 17, 2017 (Fri, 6:54 pm). .